Probably it is the most waited change in World of Tanks patch 7.3. Although the E-75 can be better in 1v1 situations, the IS-4 is monstrous in World of Tanks. But does the Tier-raise keep the immense fear factor? How can hold on this old piece of steel among much stronger competitors? Does the nature of the IS-4 change in the new environment, and more importantly, does our gameplay have to change? Many questions, but we have several answers on WOT Armory for those. Update! EU-user Charcharo made a very nice comparative analysis about the IS-4 and other Tier10s. You can find it here on official forums. But first I would make a (not unrelated..) personal remark about the connection between our tests and actually playing. There are tanks they haunt us, tanks we are afraid of in World of Tanks. Then we take one of those to a field test trip, map every bolt and weld on it, the personal bogeyman begins to look less scary. Weakspots we did not believe in before become alive. With our fresh gained confidence we throw ourself in a battle. The once renowned target appears before our crosshairs, we take one breath, armed with the new knowledge we take a concentrated a shot. And guess what, it starts to work! And when the battle is over, we reassess what happened, and suddenly realize our previous little mistakes, those made a difference between a good shot and a bounce in the critical moment. This is how it works from the inside. I warn everybody, that I have no personal experience with driving a IS-4, so I always looked at it as a target. But here is something we can all agree on. 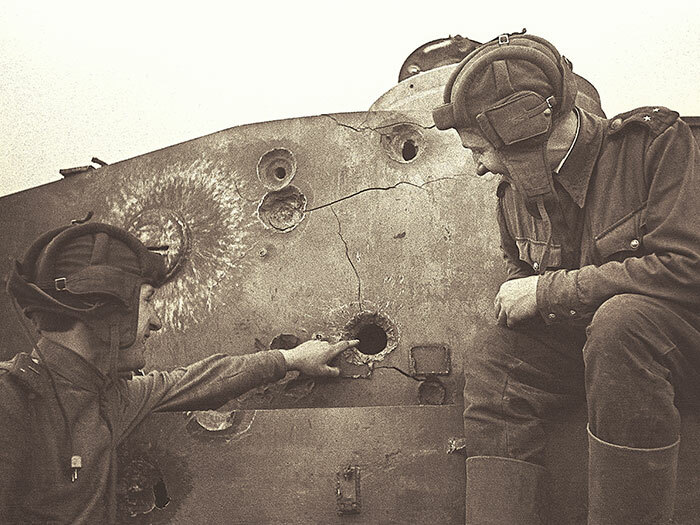 What made the IS-4 so formidable in the battlefield were the “finger of the death” 130mm S-70 gun (for me, that gun it always looked odd at best in that turret) and the highly resistant side armor. 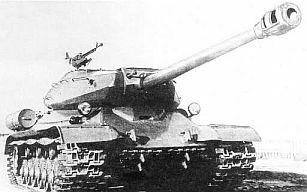 IS-4 could pretty much ignore most things below its tier, unless it were attacked behind. American and german heavy tanks for example never had this luxury. This entry was posted in IS-4 7.3, Russian armor, Tank archives and tagged how to penetrate IS-4, IS-4 front armor, IS-4 historical armor, IS-4 in tier10, IS-4 new gun, IS-4 shot trap, IS-4 weakspot, shell-eating tracks. Bookmark the permalink. Great work again guys, very nice analysis. Yes the tank has weakspots, but the driver needs to keep it constantly moving so opponents don’t have an easy shot. 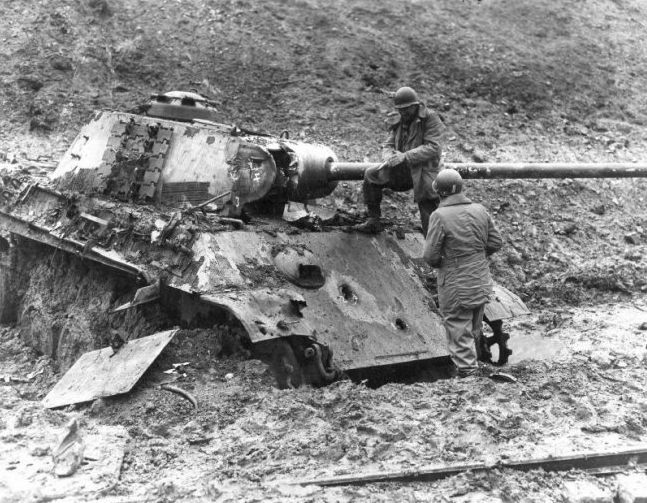 IS-4 hull down is amazingly good since its turret frontal lack the big weakspots that American tanks have on their turret. SilverforceX, is it possible you give us a hand on US official forums? My impression is, you are from there, and I am sort of banished from, because there is a new policy for closing non-gamer accounts. I’m from EU and can’t login and post updates there anymore. That would be a major loss, the majority of our readers come from US IPs. All you had to do is post updates in a separate forum topic. Can we arrange this? I always link to your site whenever people discuss armor and guns etc. I’ll keep doing so, don’t worry! Your site is fantastic. Very good job you people are doing! Does the IS-4 keep the old -8 degree gun depression from before? Well, I hadn’t checked it my self, but I was told it is 6deg on test#2. I can see it for myself tomorrow earliest, I have to reinstall the test client, if it will still run. The S70 is better then the m62-t2. If the IS4 has less armor then it needs a gun with more alpha, not a gun that exposes the tank more. I’m not getting your logic. Aim time difference, exposing tank less to fire. Also more penetration to bounce less. M62 is the best gun ingame IMO, its got a good mix of alpha, pen and aim time. The M58 american guns have better aim time and similar pen, but less alpha. Both are very good guns. Just wanted to let you know that I think your site is amazing, this must be the best WoT tank resource I’ve stumbled over so far! I got here through a link on the EU forums (it might have been SilverforceX’s doing). Keep up the good work!